Sister Suzanne Toolan, RSM, creator of the communion song, “I Am the Bread of Life,” is an internationally known composer of liturgical music. She is a prominent American spokeswoman for the music and prayer of the Taizé ecumenical community from France and leads many Taizé-style retreats. Released on her 80th birthday, this new book celebrates the life of Mercy Sister Suzanne Toolan, composer of the popular hymn "I Am the Bread of Life." A fascinating, easy-to-read autobiography, the book includes the story behind that beloved hymn, introduces a new hymn, and offers insights from Sister Toolan on ritual, silence, music and prayer. The book opens with a new hymn by Sister Toolan. Commissioned especially for the release of this book, "I Will Sing of Your Faithfulness" is a song of praise for God's steadfast love. The text, based on Psalm 16:5-6, Lamentations 3:23-24 and 1 Corinthians 2:9, reminds us that God's "favors are not exhausted." Published by OCP, the song is now available in sheet music/octavo format. Sister Toolan wrote "I Am the Bread of Life" in 1966, shortly after the Second Vatican Council. More than 40 years later, communities around the world, representing many denominations, sing the hymn in 25 different languages. In this volume, she reveals the surprising story behind that famous text and music, with its hope-filled refrain: "And I will raise you up on the last day." Written in collaboration with Elizabeth Dossa, director of communications for the Sisters of Mercy (Burlingame Region), the book gives practical advice for liturgists and spiritual seekers. It also offers glimpses into Sister Toolan's day-to-day life in her religious community and her spiritual journey as a teacher, composer and retreat leader. Topics include: Music and Mystery, Silence as Personal Practice, The Natural Act of Liturgy, The Power of Ritual, Articulating Belief Through Music, Creating Authentic Celebrations, Prayer Embodied in Sound, Symbols as Power or Symbols as Doorways, and Expressing the Thirst for God. Sister Toolan has dedicated more than 50 years to serving the Church and the Sisters of Mercy. An inspiring overview of her remarkable life, I Am the Bread of Life makes satisfying reading for pastoral musicians and anyone who's been touched by her music and ministry. In the tradition of the many artists who have depicted Jesus in sculpture, painting and song, Mercy Sister Suzanne Toolan has created a reverent new musical portrait of Our Lord and the holy family. Opening with a dramatic representation of the Annunciation, her piano improvisations paint colorful, vivid scenes from Jesus' boyhood, youth and public ministry. While most scenes are drawn directly from the Gospels, the music also covers some events not mentioned there, such as "The Wedding of Mary and Joseph." Her meditation on that festive occasion is a dance piece with sweeping rhythms and harmonic minor chords and melodies evocative of Jewish folk songs. One can truly imagine our Lord's mother and foster father celebrating to joyful music like this! The music for "Joseph's Misunderstanding" depicts his restlessness and uncertainty perfectly, then ends with the resolution and peace that come after the angel's reassurance. "Jesus, the Little Boy" is playful and light, its quick movements mimicking the nimble feet and busy hands of an active, fun-loving boy. After the dissonant, stirring meditation on the crucifixion, The Life of Jesus closes with the slow-building joy, awe and exuberant major chords of "The Resurrection." The recording features Sister Toolan-well known for her classic song "I Am the Bread of Life"-on the piano, with Mercy Sister Marguerite Buchanan reading short introductions to each piece. The fruit of creative genius and a lifetime spent in devout reflection on the Gospels, The Life of Jesus makes inspiring listening and an excellent background for prayer and meditation throughout the year. Born in Lansing, Michigan, Sister Suzanne moved to Hollywood at 17, before she became a professed Sister of Mercy. She earned a master’s degree in humanities and then began her teaching career, directing choirs for high schools, colleges, parish, and seminaries. She continued her music studies, which included composition work at Michigan State University, liturgical study at the University of Notre Dame, and choral work with Robert Shaw at San Diego State University. She received a second master’s degree from San Francisco State. 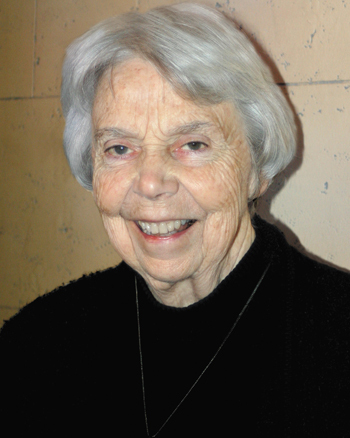 She brought the music and prayer of the Taizé ecumenical community from France to the Mercy Center in 1982. Sister Suzanne attributes the popularity of “I Am the Bread of Life,” which has been translated into 20 languages, to its “message of resurrection, which is so strong in these words of Jesus. We so need that message of hope.” On her 80th birthday, she released an autobiography, I Am the Bread of Life, which includes the story behind her beloved hymn. Sister Suzanne is the resident liturgist and directs Taizé prayer at Mercy Center, a ministry of the Sisters of Mercy in Burlingame, California.